CSA RT involves treatment of the meninges surrounding the whole brain and spine (this is the CTV or clinical target volume). CSA RT for brain tumors such as medulloblastoma generally starts first followed by a boost to the original site of the primary tumor with a margin. In medulloblastoma the primary tumor is located in the posterior fossa. Treatment for medulloblastoma should start within 28 days of surgery (there are some studies which tend towards a worse outcome if RT is delayed beyond this). Some centers use proton therapy to treat the craniospinal axis and this reduces the dose to structures such as the thyroid and the cochlea. However, the major morbidity of CSA RT is from the effect of RT on normal brain development. 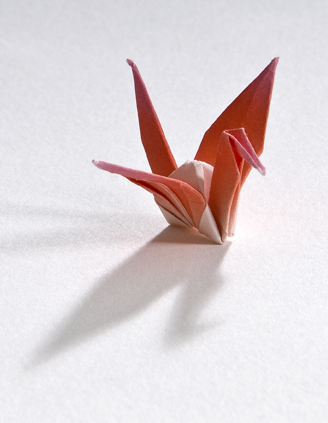 Shielding is used to spare non-target tissues such as the lens of the eye and the oropharynx. The target volume must include the frontal lobe and cribriform plate. 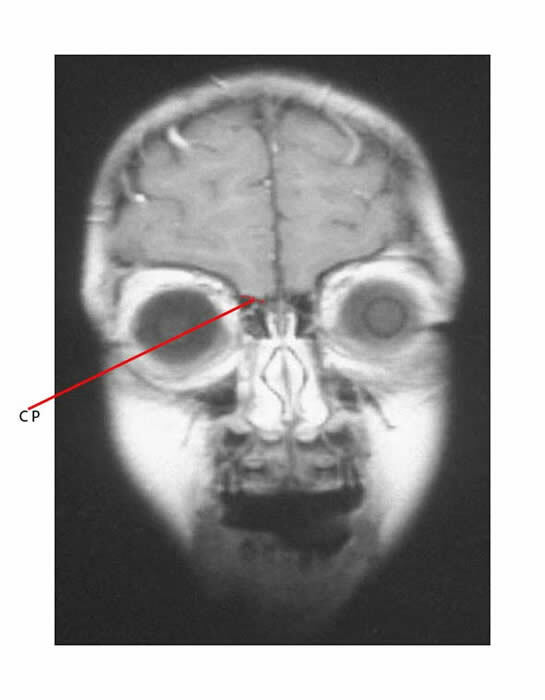 Adequate coverage of the frontal lobe and cribriform plate means that superior orbital tissue is included in treatment field. 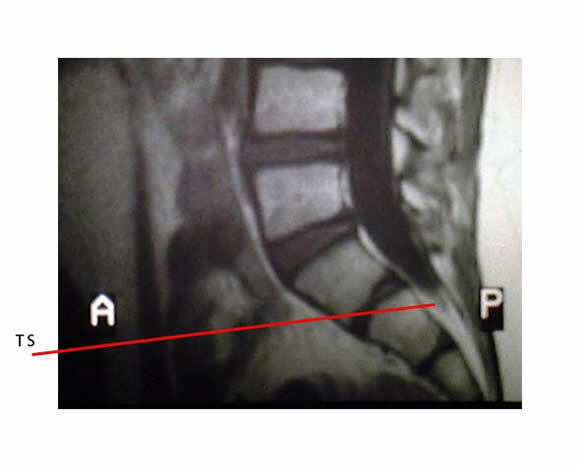 CP in the imaging above points to the location of the cribriform plate (courtesy of Dr. Roger Taylor). The clinical target volume (CTV) must be at least 0.5 cm below the base of skull, except in the region of the cervical spine when the lower field border has a moving field junction with the superior border of the spinal target volume. This moving upper junction is usually in the mid-cervical spine 5-8 cm below the base of skull. The treatment volume includes the entire thecal sac. The lower border of the thecal sac is determined by MR scan. The inferior margin of the field should be 2 cm below the termination of the subdural space (which is usually at S2). TS in the imaging above points to the lower border of the thecal sac which is usually at S2 (courtesy of Dr. Roger Taylor). There is a junction with the inferior border of the cranial target volume. The field should extend laterally on both sides to cover the recesses of the entire vertebral bodies with at least 1 cm margin on either side. Extensions of nerve roots as far as the intervertebral foramina should be covered. Sometimes the field is expanded inferiorly to form a “spade shape” if metastatic disease is coating the lumbosacral nerve roots. This may more adequately treat disease involving the sacral foramina.